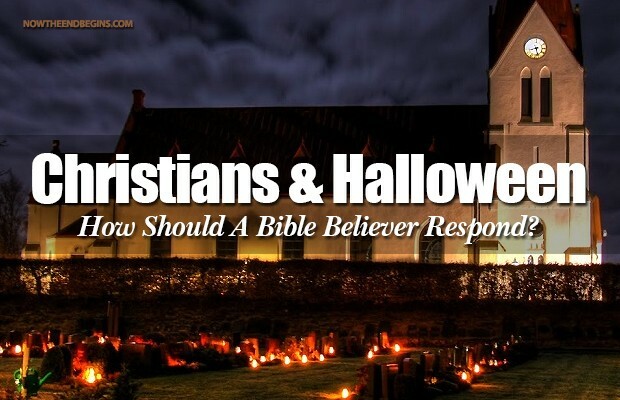 EDITOR’S NOTE: The woman in this story says she had “no ill intent” and was just looking to create some “Halloween fun” when she filled her front yard with lifelike corpses decorated as though that had been gruesomely murdered. And just to let you know who the real “spirit” behind Halloween is, she felt led to display an upside crucifix holding a corpse that had heroin needles sticking out of the victim’s jugular veins. The Devil just couldn’t enjoy himself on his holiday without taking a slap at the Lord Jesus Christ. PARMA, Ohio — “I felt scared cause I thought they were real people,” said a young girl. At least one nine-year-old was frightened by a life-like Halloween display less than a block from Dentzler Elementary School she attends in Parma, Ohio. Jackie Anselmo is the child’s mother. She says they noticed the display on the way to school. “Shock. You take a double take because it is a very realistic display. She says she even has a two-year-old and a teenager with special needs and would never do anything to purposely frighten children. “If it’s scaring some kids and we knew they’re having a hard time leaving school, yeah, we may have toned it down. We don’t want to scare kids,” Barrett said. Tone it down or take it down says Anselmo. 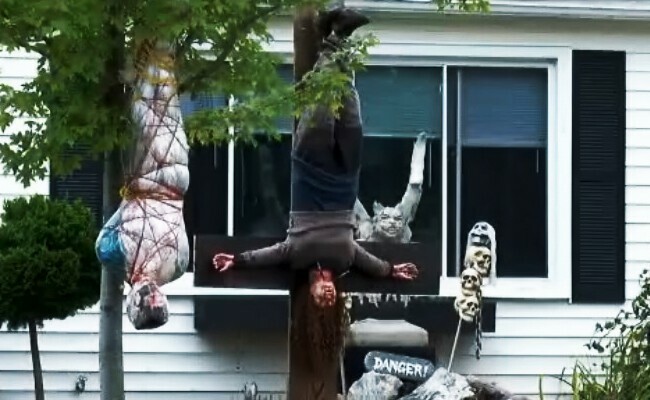 Her daughter even offered up some suggestions of other Halloween displays. “Like fake plastic sculls or little tiny skeletons or blow up pumpkins.